To keep the hair moisturized, revitalized and without smell after chemical treatment, 1Ka Premium Detox – Moisturizing Mask will be your best ally. 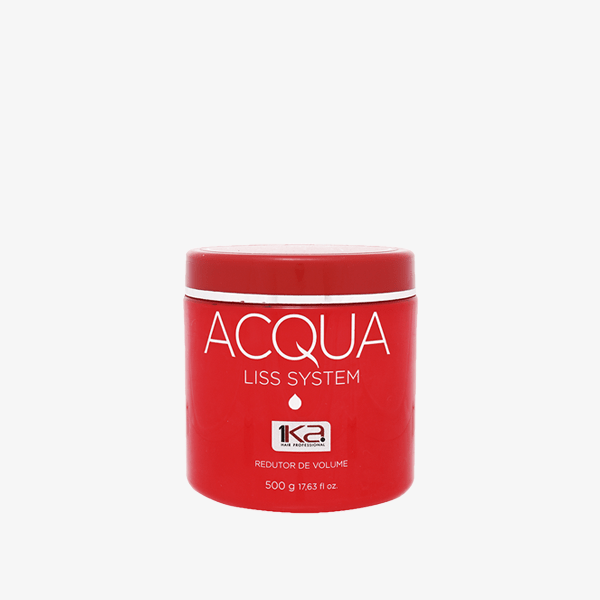 Providing agility and practicality, Acqua Liss brings in its formulation a blend of amino acids enriched with proteins and minerals that bring back brilliance, strength, and vitality to the hair. Reducing volume by up to 90% on the first application. It has in its formulation a differentiated blend of amino acids enriched with proteins and minerals that return shine, strength, and vitality to the hair, with volume reduction of up to 90% as soon as the first application. Hair with volume control, smoothing effect, malleable and with supreme brightness. Wash hair three times, massaging the wires to open the cuticles. Remove excess water from hair and dry 30%. Apply Acqua Liss System with damp hair and 1 cm away from the root with a brush. Using a fine comb, coat the wires to enhance the result. Leave it to act for 20 minutes and rinse, removing from 30% to 40% of the excess product.